April | 2016 | Right Here..... Right Now.... Glory Be! How would you like to be called Uzzah? Uzzah was not only stuck with a weird name (at least if he was alive now…. ), but he also died a most unfortunate death. Unfortunate because he was just trying to do something good. Here’s what happened: A revered holy object, the Ark of the Covenant, fell into the hands of the enemy. King David, of the Israelites, determined that it was time to get the Ark back to its rightful place in the kingdom. So he consulted with his military and political officials about the matter, and then announced it to the entire assembly of Israel. Everyone agreed. This was a good plan. It was the right thing to do. So they put the Ark on a new cart (see… not just any old cart), pulled by oxen, and Uzzah and Ahio guided the cart on the journey. The people were celebrating with gusto: singing, playing lyres, harps, tambourines, cymbals and trumpets. The Ark was coming home!!!! So the parade stopped. The Ark was placed in a local home for three months. And David returned to the City of David minus the Ark. But David had not forgotten the Ark. In Chapter 15, he prepared a special place for the Ark, with a special tent to shelter it. Then he issued a new procedure for the transport. So the Levites and priests followed David’s orders. They purified themselves. They put together a choir of Levites who were singers and musicians to sing joyful songs. A skilled musician was appointed to lead the music. Certain men were assigned to play certain instruments. Others were chosen to be guards for the Ark and some to sound the trumpets and clear the way. They sacrificed seven bulls and seven lambs. They wore priestly clothing, and David wore a priestly tunic. And the parade commenced without incident; the Ark arrived safely in the City of David, and there was great joy and celebrating. But poor Uzzah. Struck dead for just touching the Ark during the first go-round. Dead because they didn’t wait for the green light. Dead for not following instructions. Dead for not searching the Word of God for the correct procedure. I’m so glad that God has not struck me dead when I fail to consult Him first in my decisions and actions. And believe me….. I’ve done so many times. I look at my planner…. my calendar…. my clock…. and make a decision and go with it. It seemed right at the time. In fact….. I’ve impulsively done/said things that I thought were God-honoring. But they weren’t….. because I didn’t go about it correctly. I don’t stop to see if God has given me the green light. I don’t consult His Holy Word. I don’t pray about the decision. I plunge in with my instincts, and my intellect, and my emotions. But I fail to wait on God. I don’t want to be an Uzzah. I don’t want to fail in asking God where and when and how to move. I don’t want to assume that His commands are just some suggestions. I don’t want to have to explain to a Holy God that I was just doing what my heart thought was right…. knowing all along that the heart is deceitful above all things and desperately wicked…. (Jeremiah 17:9). I don’t want my pitiful defense to be that I relied more on me….. and less on Him. I don’t want to walk on red. Oh Father! Forgive me for my impetuous nature…. for speaking and acting first without thinking and praying. Forgive me for making You last and not first in all that I do. Lord, prepare me to be a sanctuary….. worthy….. in Your perfect timing and in Your perfect ways. Help me rest during Your red lights, and go only You give me the green light. Growing up in rural Iowa meant snow. Lots of snow. And since I was a tiny thing, the snow, of course, looked huge to me. Sometimes the drifts were higher than my head; I felt engulfed by the snow. To sink into a drift and only see the unending waves of white was terrifying. I went to a one room country school, Cuba School, which was about a mile from our farm. Walking to school was no problem in the fall and the spring. But winter made a big problem. Big snow. Big challenge. My father walked with me to school. He set off down the lane, and onto the gravel road leading to the school. 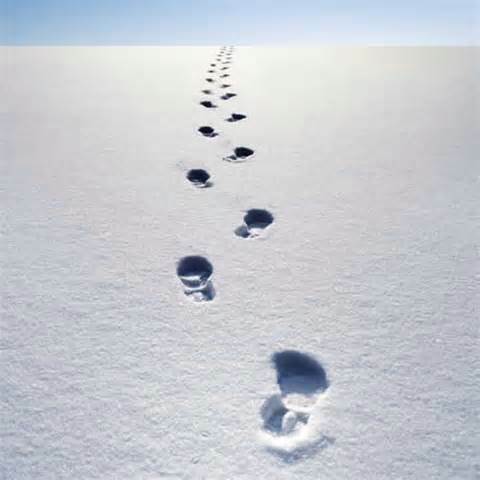 His legs were long, and his footsteps were large. But he walked at a slower pace, with shorter distances between steps. I followed…. trying to match my little foot to his deeper imprint. 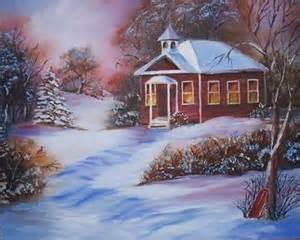 Sometimes I was exhausted by the time we reached the schoolhouse, but I made it. Our small group yesterday was discussing Chapter 3 in Fancis Chan’s book, “Crazy Love.” It was dealing with the concept of father and how our impressions and experiences with our earthly father impact our relationship with our Heavenly Father. I began to think about our trek through the snow. My dad made sure that his path was not impossible to follow. He was there with me all the way, and he broke the path so that I could walk in it. And I know that if I had fallen from the exhaustion, that he would have picked me up and carried me. Isn’t that like our Heavenly Father? He will lead…. if I let Him. He will be there all the way. 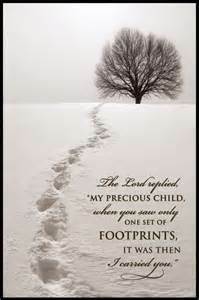 He will make the path possible for me to walk, even it is challenging to do so. And He will carry me when I can no longer walk. I just have to be willing to go. He’s a good, good Father. That’s Who He is. That’s Who He is. 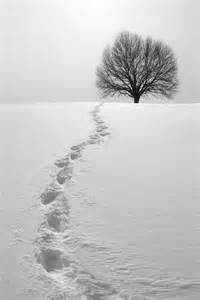 Father, forgive me when I am unwilling to even begin on the snowy drift covered path. Forgive me when I look at it as an impossible journey. Forgive me when I try to veer off onto my own path. And thank You for leading, for always being there, for picking me up when I can no longer go on my own.